By Piotr Małek and Álvaro Díez - PhD candidate. Temperature sensors - how to measure temperature? When it comes to temperature conversion (often shortened to temp conversion), it is easy to convert Celsius to Kelvin, however if you want to convert Celsius to Fahrenheit, it becomes more tricky... Unless you use our temperature conversion tool! With our tool, you can perform temperature unit conversion from Fahrenheit to Celsius - or any other combination of temperature units you choose! There is no need for you to remember any temperature conversion formula, or perform any mathematical operations; just input the temperature in your preferred units and watch the result appear. And, if you want to use this time you have saved, you can read on to find out about temperature scales! It is always hard to come up with a good definition for everyday terms, but with temperature, it is notoriously difficult. We all know what is hot or cold, but temperature? Temperature is much harder to define without getting technical, which is precisely why we will get technical. To do this we have to turn to physics, in particular to thermodynamics and statistical physics, which is like thermodynamics meets quantum physics. There is no need to worry, however, because when we dig deeper into what is temperature, the answer is fairly simple: temperature is speed, or rather the momentum of the atoms and molecules that make up a material. What this means is that the higher the temperature of something, the higher the particles velocity; a.k.a.the molecules that make up that something vibrate faster. This is very closely related to the concept of thermal energy and means that heat is just another expression of kinetic energy. As always, there's much more to these concepts than what we've mentioned here, like for example the fact that speed is related to the kinetic energy by means of a square root. Or the fact that when we mention speed we should technically speak of the average of all the speeds of all the particles... But this would, then, become a large essay on the physical concept of temperature and there would not be space for a conversion tool. Fortunately, we have the time and space to point out some interesting facts about temperature, like how any friction will end up creating heat, by converting kinetic energy from one source to another (and therefore increasing the temperature). It is also interesting to note that once we think of temperature as a form of energy it becomes fairly clear that our body burns more calories when we try to burn calories by running vigorously, which, incidentally creates much more heat inside our bodies than light exercise. Thinking about temperature and heat in terms of energy is very useful and helps us understand many of the things that happen around us. Nevertheless, this is not the only thing we will talk about. Since this is a temperature conversion tool, it is only fair that we talk about units of temperature. We also need to acknowledge the different ways of measuring temperature. We're not talking only about different types of thermometers, but also about different scales. Everything is connected is something we hear a lot, but we barely consider to what extent this is true. In physics it is an unavoidable truth, one thing affects another; luckily for us, we know almost always how one thing affects another. We can also predict these changes, and use them to our advantage. 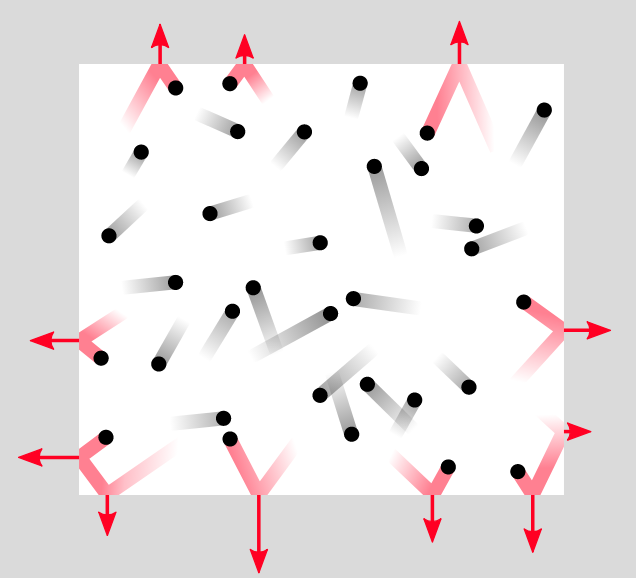 We have already seen how a change in temperature involves a change in momentum of the particles, but there are many more connections than just speed-temperature. Just by looking at the weather your intuition may already tell you that temperature and pressure are closely related. And if you're into your cycling numbers you probably also know that temperatures affect air density, and hence drag at a given speed. This is due to the thermal expansion of the gases in the air corresponding to an increase in volume. More volume translates to lower density, since the weight remains constant. This whole relationship between pressure, temperature, volume (and density for that matter) is best explained by the ideal gas law equation, at least in a perfect world. By using this calculator together with the air density and drag calculators you could easily see how a change in temperature can significantly change the results of an experiment, such as a free fall with air resistance. This is easy to correct for, but if you don't do it, you might end up with strange values for the gravitational force of the Earth. In this case, the problem would be due to the difference in buoyancy force resulting from the difference in air density. All these relations between temperature and volume, pressure, or speed depend on the specific properties of the material you are dealing with. This properties are generally parametrized by physicists using quantities such as specific heat, latent heat, or thermal conductivity. These quantities are used in physical laws such as Newton's law of cooling, Joule heating, etc. We will now talk about this temperature conversion calculator, how temperature is measured, and why do we even need different units to measure temperature. Because, spoiler alert, having measurements in Celsius, and temperature in Fahrenheit or using Lord Kelvin's temperature scale is very useful, even if that means we need to convert temperature from Fahrenheit to Celsius to even understand each other. When it comes to measuring temperature, you could say that it is measured in degrees and it's just that different people use different degrees. But that just delays the problem without providing a real answer, and it also makes scientist very angry since the preferred nomenclature is without the "degree" part of it. Anyway, there are many different units to measure temperature in, the most common ranging from Kelvin to Celsius to Fahrenheit, depending on the country or the type of conversation. However, there are many more units of temperature, some arguably as useless as unknown. 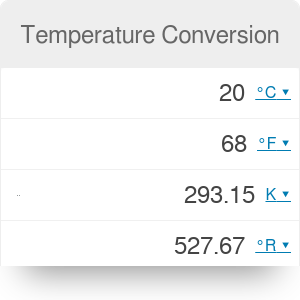 In this temperature unit conversion calculator we have them all and we will let you play with weird temperature conversions, and even show you how to make your own temperature conversion table for unknown units, if you're into that sort of thing. For now, let's just mention some of them. Among the weirdest and most obscure we can think of are units of temperature such as Rankine, Delisle, Newton, Réaumur, Rømer... If you're an avid reader and follower of science you've probably noticed that they are all names of scientists. In fact, from (Lord) Kelvin to Fahrenheit to Celsius all the units of temperature are names of those who (allegedly) created such temperature scales. The only exception would be the centigrade scale, which we will mention briefly later, but it's practically the same as the Celsius. The reason there are so many units is that temperature is hard to measure and there is not an obvious way to establish a universal scale. In fact, for thousands of years nobody even knew if there was even an upper or lower limit to temperature, so it was very hard to establish a point of reference. We will see in more detail some of the most important temperature scales, and the temperature conversion (or temp conversion for those with limited time) between these commonly used scales. We will also see how natural phenomenons such as freezing point, dew point and boiling points were crucial in the development of a widespread temperature scale. Let's see how to use this calculator, or any other conversion calculator from Omni, such as the length conversion, or the Unix time converter. Click over ºC, use the drop-down menu to change units from Celsius to Fahrenheit by selecting Fahrenheit (ºF). Click over ºF on the second text box, and select Kelvin (K). You now have changed the units from Fahrenheit to Kelvin on the second field. Click over K, select Celsius (ºC) from the drop-down menu. Contemplate your masterpiece, and maybe use it to convert temperature units. Once you have all the units in the desired positions, just proceed by entering the value of temperature in your reference units and you will see it appear in all other units automatically. Just like that, no need to even know the temperature conversion formula. Don't you love technology, progress and the magic of the Internet? The Celsius temperature scale is probably the most widely used of the 'non-scientific' units of temperature. Its origins date to the 18th century when Anders Celsius invented it. The principles behind it are as simple as things can get. The first assumption that Anders made was that ice water melts always at the same temperature, and it also boils at the same temperature. So with a very well constructed thermometer (probably just a blank glass tube filled with alcohol), he put a mark for each of these points. Only he put 0 and 100 in the reverse order to what we now use, so for him 0C was boiling water and 100C was ice. He then created 100 divisions between these two marks and called each of them a "degree". This is the reason why this scale is also called the centigrade scale: because it has a hundred (centi) degrees (grade). Since its creation, this unit has been pretty much the de facto standard in most countries (not the USA) and was even the SI unit of temperature for many years, until Lord Kelvin created a scale more rooted in science. The key achievement of this scale is to assign easy to manipulate numbers for normal temperatures that we find on a daily basis. Numbers between 0 and 100 are easy to imagine, manipulate and understand. It is rare that on a normal day we would encounter temperatures that would be higher than 100ºC and even rarer to find anything lower than -100ºC. However, there is a problem with the Celsius scale: it's not universal. The biggest flaw of this temperature scale is the fact that water changes its boiling point at altitude, or rather with pressure. It also changes its melting point. So setting a standardized 0ºC point or 100ºC point becomes really tricky. This doesn't bother scientists too much, though. They would just simply measure all the other variables, correct for them and be done with it. However, what concerns scientists is the lack of a universal motif behind the decisions. Why chose water and not oil? What oil? What if I was be on a different planet with different conditions, could I reproduce the scale? So in came lord Kelvin to the rescue with his universal scale of temperatures, but that's a story for another section. The Kelvin scale of temperature is currently the most widely used scale in science, and for a good reason. It has everything a truly scientific measuring unit should have: it's based on universal principles, it's independent of "outside" factors, and, as an extra bonus, it's defined in a way that makes it easy to convert Celsius to Kelvin and vice versa. The size of a Kelvin was set to be the same as the Celsius degree, for convenience. This means that the difference between the SI unit of temperature (Kelvin) and the metric unit of temperature is nothing, and the scales differ only in the starting point. The universality of the Kelvin comes from the fact that 0 K is exactly the coldest temperature physically possible, absolute zero. It's not easy to understand how can one be sure of a temperature being the coldest ever possible, period. More so if we realize that it is also not possible to reach it in reality. One of the tricks used to arrive at this conclusion with scientific certainty is by using the relationship between pressure, temperature, and volume. 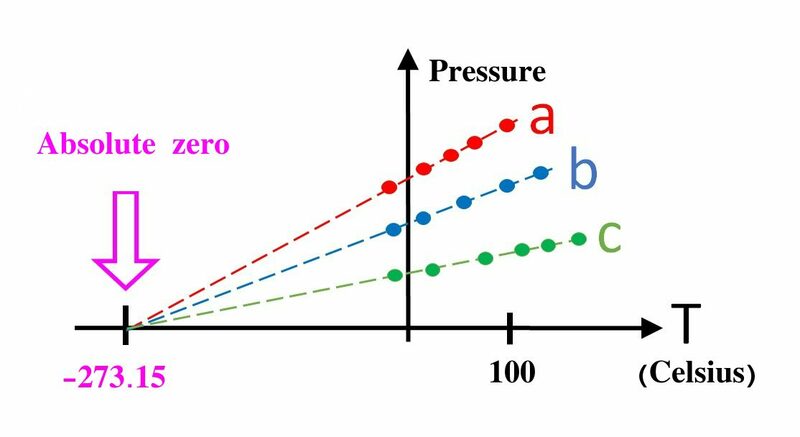 If you were to plot how either pressure or volume relates to temperature, you would find something fairly obvious: pressure decreases with temperature, and so does volume (at least in an isolated system in which all other variables are kept constant). Furthermore, you could do some analysis on this relation using the chi square, or linear interpolation to obtain the trend line. If you then extrapolate until you can find where it intercepts the axis (just like you can do with our slope intercept calculator), you will find that the temperature at which the volume and pressure would be 0 is the same for most materials: 0 K = -273.15ºC = 459.67ºF. This value is what we call absolute zero. It is not possible to get colder than that since that would mean reaching negative pressures or negative volumes, which are physically absurd. This trend line extrapolation is by no means the only way to find the value of absolute zero, and more modern experiments have backed up this result. It is very surprising, nonetheless, that while there is no upper limit to temperatures in the universe, the coldest temperature is something very clearly defined and independent of the system. In terms of defining a temperature scale, however, we still need to get more data, since we have only defined one point of reference and we need at least two. The second point of reference was chosen by scientists to be the triple point of water. One reason behind these decisions is that water is a fairly simple, widely available liquid, that also happens to be a requirement for life as we know it. The triple point of water is a state in which water coexists in solid, liquid and gaseous forms at the same time. This is only possible to achieve at a certain pressure and, crucially for us, temperature. Armed with two points of reference and our desired size of the unit (same as degree Celsius), we can start setting values for common events. Under these premises, water melts at 273.15K, and boils at 373.15K; the normal human body temperature sits around 306K. This scale has the problem of assigning fairly big numbers for normal temperatures in pursuit of a no-negative-numbers scale, which is the reason it has not become the standard unit of measurement for everyone everywhere. It is, however, the SI unit of temperature, and by far the most used of all temperature units for scientific calculations. Just a final remark before we move onto other topics: we have been very careful to precisely say there are no "colder" temperatures than 0K but never say "there are no negative absolute temperatures" since that would've been false. All you need to know is that negative absolute temperatures do exist, they are hotter than any positive temperature possible and only occur in very special systems with certain properties. Much like the Celsius scale, the Fahrenheit scale was created by a man of science that wanted to make the best temperature scale with the best temperature units in the universe; and he also failed. The Dutchman Daniel Gabriel Fahrenheit was a contemporary of Anders Celsius who thought he could do better than the centigrade scale. The whole story of how he ended up creating the current Fahrenheit units is much better explained in the video below, so we would recommend you to watch it. For those who "can't be bothered" to watch the video, here is a short summary. Fahrenheit was an orphan from his teenage years and spend several years traveling around as an apprentice and escaping from an old master. Finally, he met with Rømer, from whom he learned how to make thermometers, and whose temperature scale he "used as reference" and definitely did not copy. With time, however, Fahrenheit tweaked Rømer's scale until it became today's Fahrenheit's with 32ºF as the freezing temperature of water. The Fahrenheit scale is as acceptable as any other scale but because of how it was conceived it seems a bit less intuitive to use for those not used to it. Temperature unit conversion from F to C it's also more complicated than it is to convert Celsius to Kelvin. Still, the temperature conversion formulas for going from Fahrenheit to Celsius and from Celsius to Fahrenheit are not very complicated. Let's see now how we can take temperature in Fahrenheit and turn that into a temperature expressed in the metric unit of temperature, Celsius. For those of you who want to convert Celsius to Fahrenheit, here is how. Take the metric unit of temperature and apply the following formula: (C * 9/5) + 32 = F where we use C for degrees Celsius and F for degrees Fahrenheit. If you wish to do a temperature unit conversion from F to C you need to reverse the formula. The result should look like this : (F-32) * 5/9 = C. This way, you can do the temperature unit conversion from F to C as you desired. A very interesting question many of you might have is "how can you actually measure temperature?" or conversely "how do temperature sensors work? "The key to answering these questions is in the first section: through the effects on other variables like pressure, volume, electrical resistance of a wire... Since temperature is really the average velocity of molecules and atoms, measuring it directly is practically impossible, but we can very easily measure the effects of temperature in other properties of a material. One of the most common ways to measure it, or at least one of the oldest, is through thermal expansion. Since most materials will enlarge as temperature rises, one can carefully design a container or a table of calibrated markings that can translate from size (typically volume of length) into temperature. This is how mercury and alcohol thermometers work. This method has some limitations like the temperature range, the need to be in contact with the heat source to determine its temperature, and, most notably in our day and age, it is really hard to get any kind of electrical or digital reading of it. This problem can be solved by using different properties of materials, which are also affected by temperature. If we are really interested in obtaining a digital/electrical output from out measuring device, the intuitive thing to do is take a look at electrical properties that are dependent on temperature. Fortunately enough, most of the electrical properties and effects have a strong dependence on temperature - either directly or indirectly. The most widely used effects include the Hall effect, the voltage drop within a material (connected to electrical resistance by the Ohm's law), or Seebeck effect (which is how thermocouple temperature sensors work). These effects can be tracked down to the mobility of electrons in a material, or conversely their drift velocity, which is a fundamental property of a material and depends strongly and directly on temperature, being the vibration of its atoms and molecules. Another way to measure temperature using its effects on other phenomena is how the outer temperature of stars is measured: using the Stefan-Boltzmann law and Wien's law. These laws relate the energy of a photon (and the corresponding de Broglie's wavelength), that is the color of the light emitted by an object at a certain temperature. This is why the color of light bulbs are often measured using the Kelvin temperature scale. This technique is how scientists measure the temperature of a black hole and other celestial objects, provided that there is no redshift effect occurring on the way, or provided that we correct for it. This last method is very closely related to how infra-red gun-shaped thermometers work, too. Certainly, there are other thermodynamic processes, such as Carnot efficiency, that could be used for this purpose. We could even use the Doppler effect and the speed of sound; however, it is not a very efficient or effective way to do measure temperature, which is why generally only electrical or quantum effects are used to measure normal temperatures that we encounter on an everyday basis. In any case, the temperature is a very relevant measurement and we have pretty much mastered the 'art' of measuring it. Even if there is still a long way to go before the whole world agrees on which unit is the best - at least for our everyday lives. Piotr Małek and Álvaro Díez - PhD candidate. 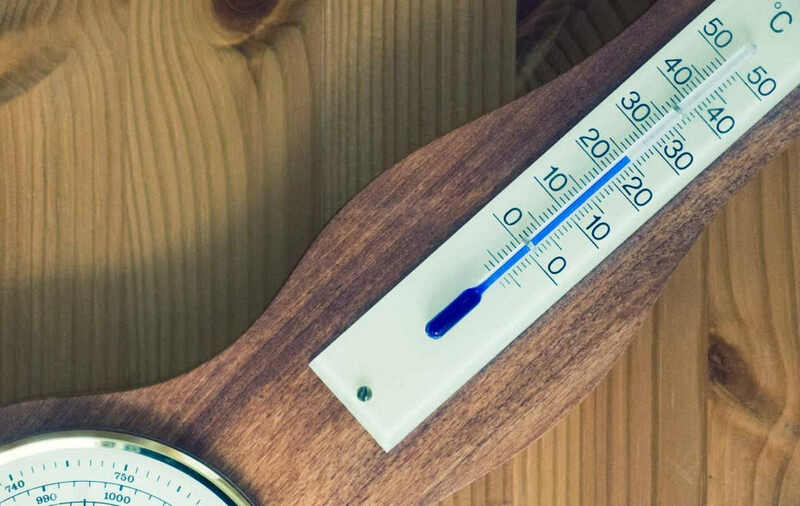 Temperature Conversion can be embedded on your website to enrich the content you wrote and make it easier for your visitors to understand your message.